leads to the quadratic formula ). You must memorize the quadratic formula. 1. Write down the quadratic formula that solves ax ^2 + bx + c = 0. 2. Solve x ^2 =2/3x. 3. Solve 7x^2 + 4x − 3 = 0. 4. Solve 4x^2 + 3x − 2 = 0. 6. 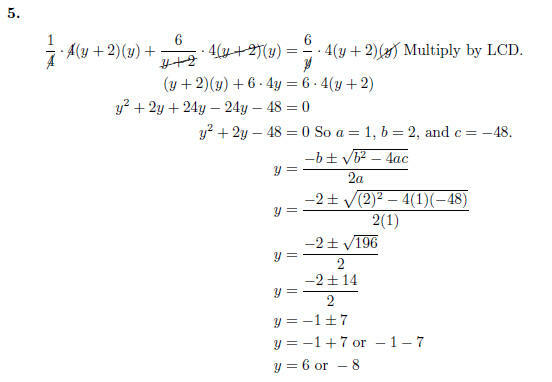 Solve 2x^2 + 15 = 0. 7. Solve 5x^2 = −3. 8. Use the discriminant to find what type of solution 9x^2 + 4 = 12x has. 9. 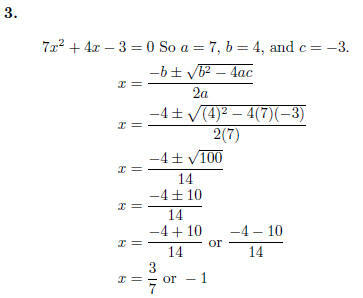 Write a quadratic equation which has the solutions 1 − 4i and 1 + 4i. This could also have been done using factoring by grouping . 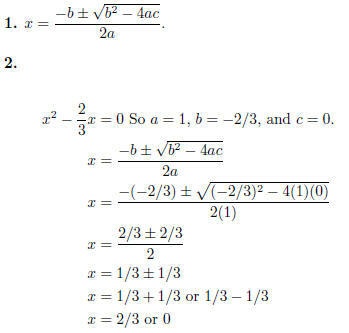 one was using quadratic formula or completing the square. Recall than when you multiply by an LCD to solve an equation, you must check for extraneous solutions. 7. 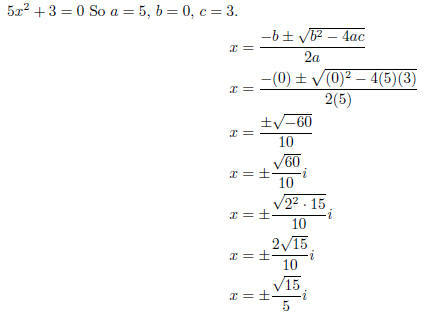 Solve using quadratic formula. 8. 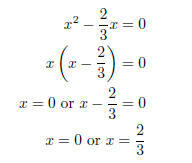 The discriminant is b^2 − 4ac = (−12)^2 − 4(9)(4) = 0. This means there will be one rational root . 9. 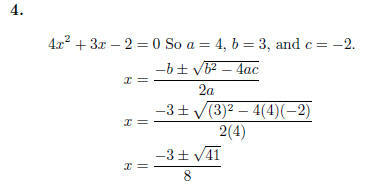 If the quadratic has solution r , then it has a factor (x − r). Now, carefully multiply everything out to get the quadratic.